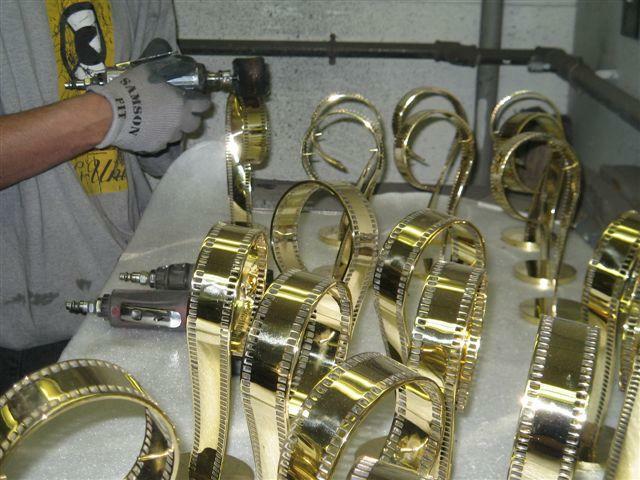 Our Work - Accent Metals Inc. 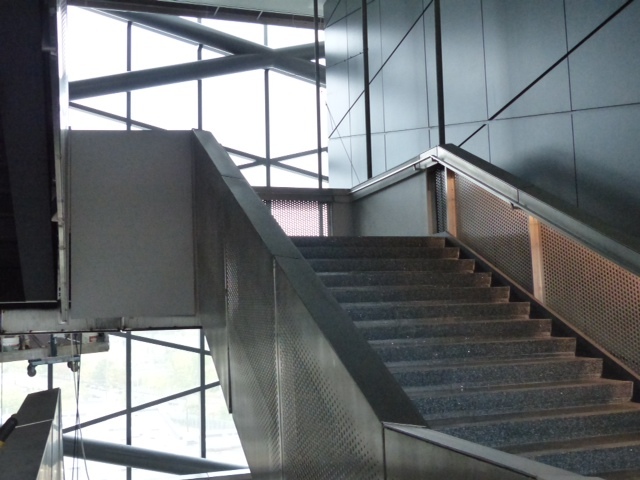 Stainless Steel Perferated panels assembled to create this staircase. 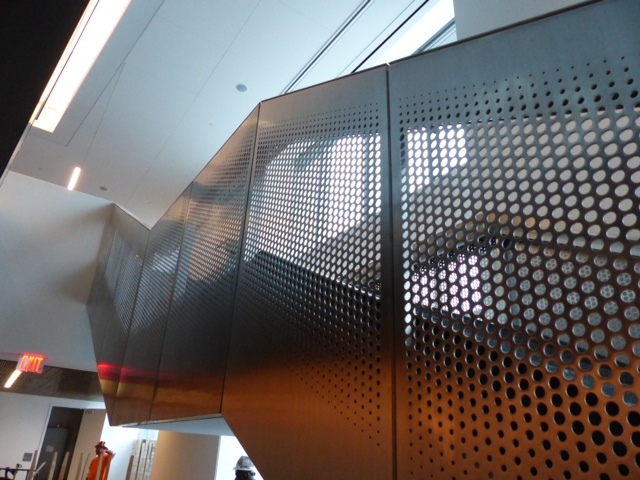 Stainless steel panels polished to a #4 finish used to create hallways and staircases. 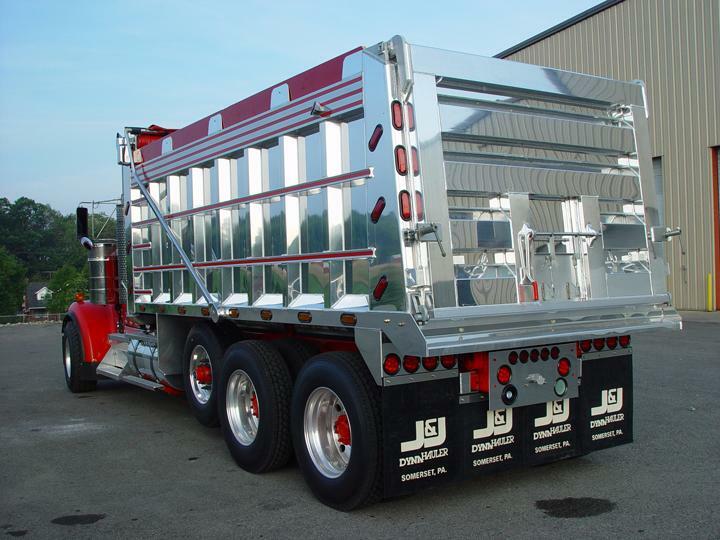 These Stainless Steel Rocker Panels are made from our #8 mirror sheet. 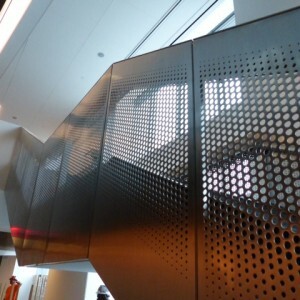 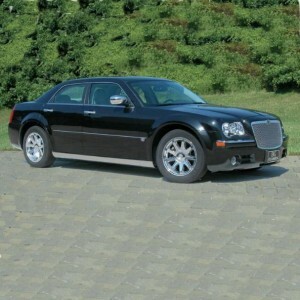 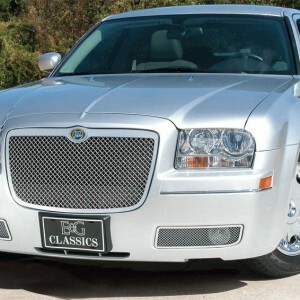 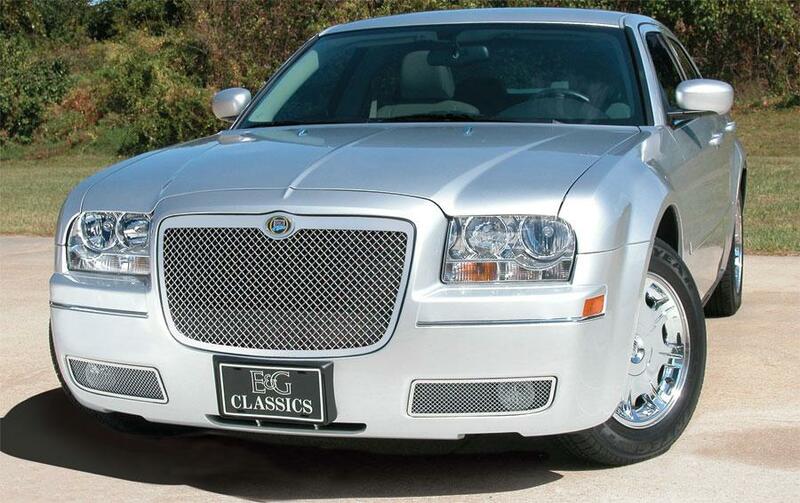 A variety of 1st class Grilles are produced from our #8 mirror sheets. 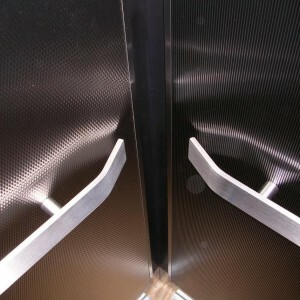 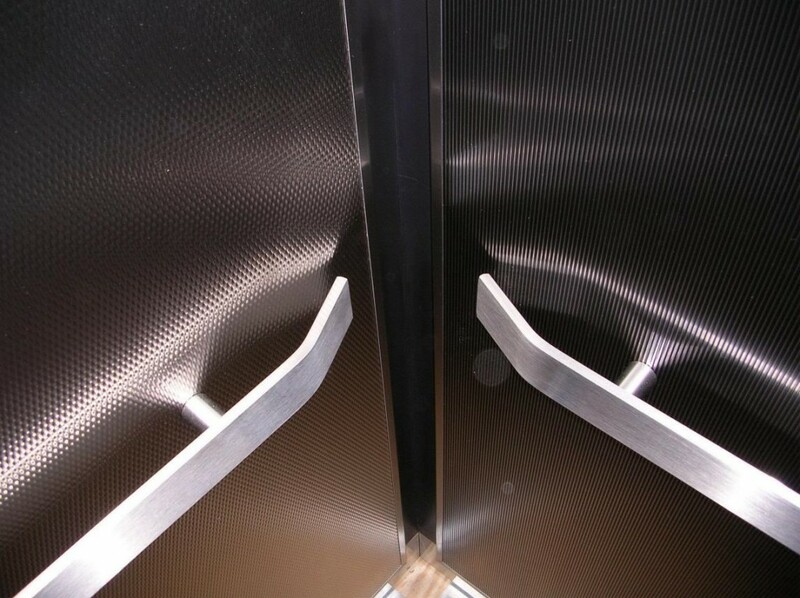 Some customers like to use our Commercial Bronze in their elevator cabs. 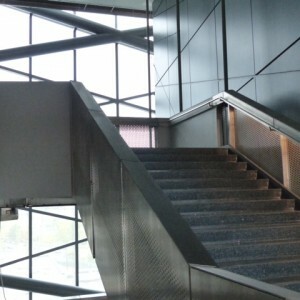 We supply all sizes of polished handrail in standard lengths or cut to size with polished ends. 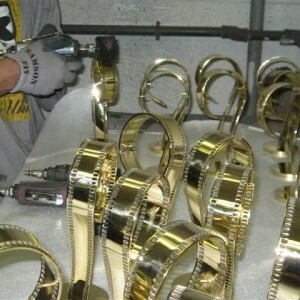 We do many specialty items such as these film awards. 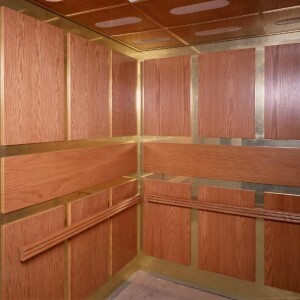 We can take your project from design to completion. 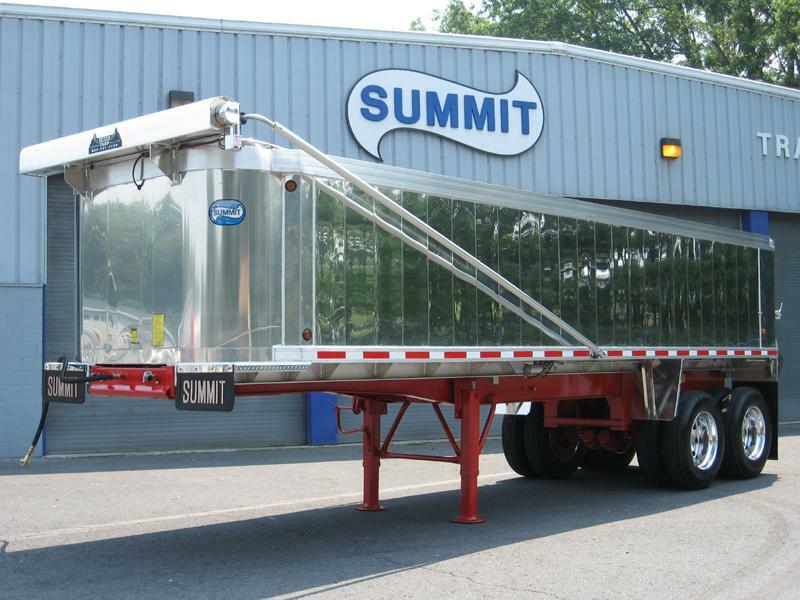 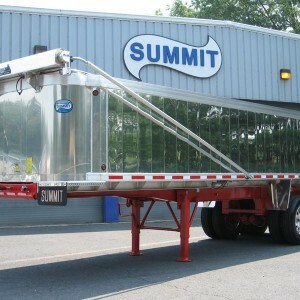 #8 Mirror Polshed Aluminum Panels for trailers. 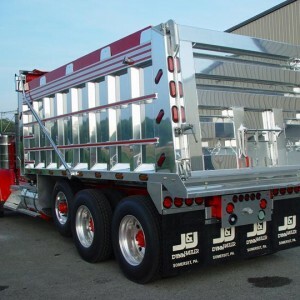 #8 Mirror Polished Aluminum Sheets and Extrusions for dump bodies.